Editors note: This is a guest post from our friends over at Diver World, which is a great resource for divers looking for info on various scuba gear. 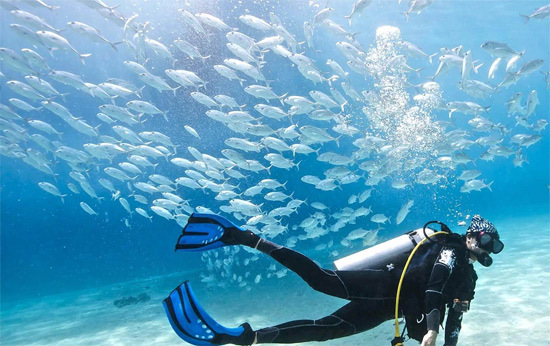 During our travels around the world, any time we meet non scuba divers they seem to assume diving is an activity only for the wealthy or beach bums on their way to becoming a scuba instructor. The truth is somewhere in between. Diving can be an expensive hobby, but usually it is something you only do a couple times a year unless you are a professional scuba diver. If you are on the fence about becoming a certified diver, here are 3 awesome reasons why you should. Get Inspired and push your comfort zone! Scuba diving gives you a whole new perspective of the planet. The earth is 70% water, and if you are stuck on the surface for your small amount of time here that is a real shame. Diving will allow you to explore the depths and amazing sights that only a small part of the general population get to see and experience. Don’t be surprised if this newly expanded perspective leaves you feeling a bit smaller in the universe. We love to dive with sharks! Diving is actually an amazing workout. If you have ever seen footage of divers exploring a reef, it usually looks slow and relaxing. This is true to a point, you will definitely conserve more oxygen during a dive if you remain relaxed and move slowly. However, the combined effects of breathing compressed air and the resistance of the water can actually give you a decent workout over the course of an hour long scuba session. But when it comes to breathing compressed air for extended periods of time, be sure to keep an eye on your dive computers readout to avoid nitrogen buildup. No one wants the bends! Becoming a scuba diver means joining an awesome global community! The whole reason we are able to make this guest post is we met the motive8 team while on a scuba diving trip! We found out we both ran dive websites and quickly became fast friends. Even if you end up traveling the globe solo, if you are a diver, you will quickly make friends on any dive boat you join. I think there is an inherent sense of community that comes with this special pass time. Divers from all walks of life have something instantly in common and more often than not, at the end of the day we all end up at the local bar for a few beers. 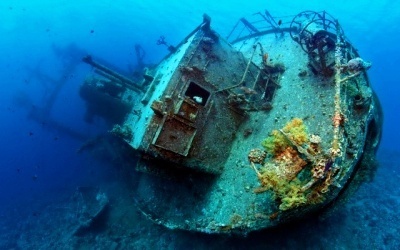 This is a great way to hear about hidden dive sites or swap some intense diving stories. Thanks to facebook and lots of ever growing online communities keeping in touch is easier than ever. 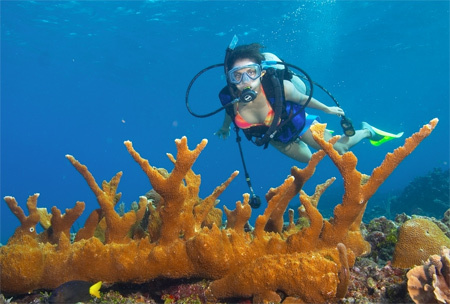 We hope this list has prodded some of you who are thinking about becoming a scuba diver into action, or those who have not had the chance to dive in a while to refresh your skills and start exploring the ocean once more!